All Link Electronics Corp. was founded in 1997 and specialized in supplying and designing on PCB connectors and cable assemblies. 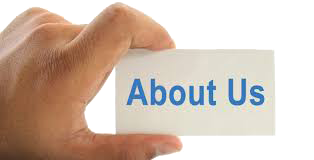 All link Electronics was founded by several outstanding and years experiences managers. Our president Mr. Ko has been over 25 years experiences in the connector areas and our RD manager is over 30 years experiences and possesses a National Research Award and own many design patents. We are utilizing distinguished Research and development skill and create innovative automatic-production in house, excellent quality, competitive price and timely delivery to ensure total satisfaction to customers worldwide. To provide the competitive price, we moved Shenzhen connector factory to Ganzhoun plant in 2006. We produce most of production lines by automatic equipment and the equipment is designed by our RD team in house. To ensure the consistent quality and good output is by automatic equipment and C.C.D. test machines and high-qualified operators. In terms of quality, we believe excellent quality for survival. We carry out "quality is the best policy" and both of our factories are ISO9001:2000 and ISO14000 certified while all products have been compliant with the RoHS Directive since 2006. We closely monitor our factory’s environment, equipment and testing system. With very strict standards and consistent process, highly skilled workforce, we have been able to produce the best products to please our customers. At the same time, make the All Link throughout the industry. All Link is equipped to be a distinguished and most reliable strategic partner with continuous research and development for unceasing improvement and with stable strictly Quality control system. We aspire to grow with you thorough keeping confident connection and excellent interaction to find out the best cooperated mold to build a win-win business relationship.